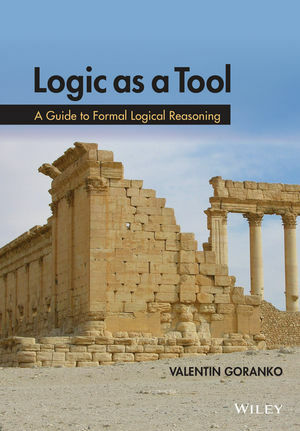 Written in a clear, precise and user-friendly style, Logic as a Tool: A Guide to Formal Logical Reasoning is intended for undergraduates in both mathematics and computer science, and will guide them to learn, understand and master the use of classical logic as a tool for doing correct reasoning. It offers a systematic and precise exposition of classical logic with many examples and exercises, and only the necessary minimum of theory. The book explains the grammar, semantics and use of classical logical languages and teaches the reader how grasp the meaning and translate them to and from natural language. It illustrates with extensive examples the use of the most popular deductive systems -- axiomatic systems, semantic tableaux, natural deduction, and resolution -- for formalising and automating logical reasoning both on propositional and on first-order level, and provides the reader with technical skills needed for practical derivations in them. Systematic guidelines are offered on how to perform logically correct and well-structured reasoning using these deductive systems and the reasoning techniques that they employ. Valentin Goranko is an associate professor at the Department of Applied Mathematics and Computer Science of the Technical University of Denmark. ?He has had over 25 years of University teaching and research experience: in particular, he has taught several courses partly based on the proposed book.